Anthony Padgett lives in the semi-rural village of Hutton, Lancashire. He is a writer and artist with an MA in the Theory of Contemporary Art from Wimbledon School of Art. His art has featured on BBC Radio 4, the Guardian, the Times Educational Supplement, The Times Online and The Mail on Sunday. Anthony has published 10 books on art, religion and spirituality. And a number of fictional works. www.anthonypadgett.co.uk. 1990 to 1997. Anthony studied Philosophy and taught Religious Education. He worked as an architectural stone conservator in London and for the British School of Archaeology in Jerusalem, the Israeli Antiquities Authority and the Palestinian Departments of Antiquities. 1998 to 2017. He organised a large number of exhibitions in London, won first prize in an International Art and Technology award 2002 and was a finalist in the International Jewish Artist of the Year Awards 2004. He has given talks at the Studio Art School in New York, the Institute of Contemporary Art in London and at Tate Modern. His award winning Millennium-Angel sculpture was the result of �150,000 computer manufacturing sponsorship and is sited at Leighton Hall, Lancashire www.millennium-angel.co.uk. His Praying Shell sculpture is sited on Morecambe Bay www.prayingshell.co.uk. Anthony's sculptures of the poets Humbert Wolfe and Wilfred Owen are at Eccleston Square (London), Wadham College (Oxford), Bodleian Library (Oxford), the Berg Collection (New York Public Library), Scarborough Art Gallery, Edinburgh War Poet's Collection and in Bradford School and Library. In 2017 he began a year of creating work influenced by the life and work of Vincent Van Gogh. 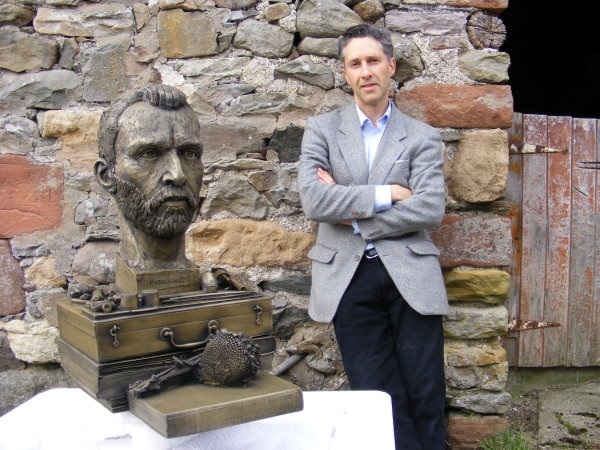 His bust of Vincent and Vincents Chair iv won an award for Exceptional Quality at the Harris Museum and Art Gallery in Preston. Many of Anthony's other artworks can be seen in his publications. www.anthonypadgett.co.uk.